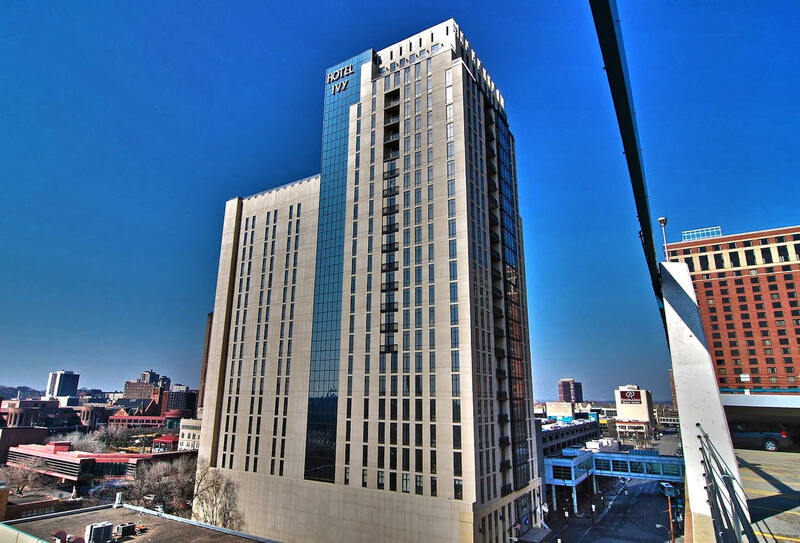 Once listed among the city’s most endangered historic properties, downtown Minneapolis’ landmark Ivy Tower was readapted and rechristened the Ivy Hotel + Residences in 2006. 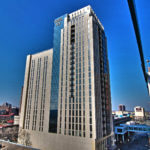 Inside this 26-story hotel-condominium hybrid, you’ll find 31 elegant condos ranging from lower-level studios to luxury penthouses at the top of the building. 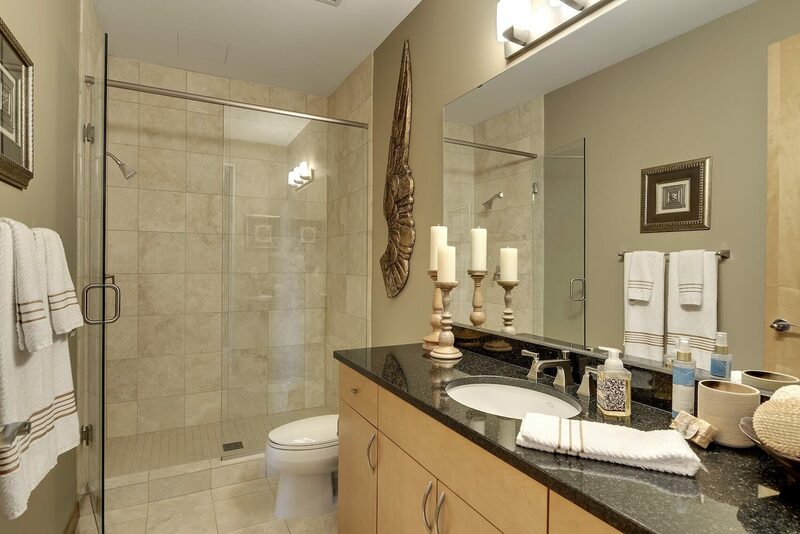 Interiors feature bright, open layouts, clean lines and a number of high-end finishes. 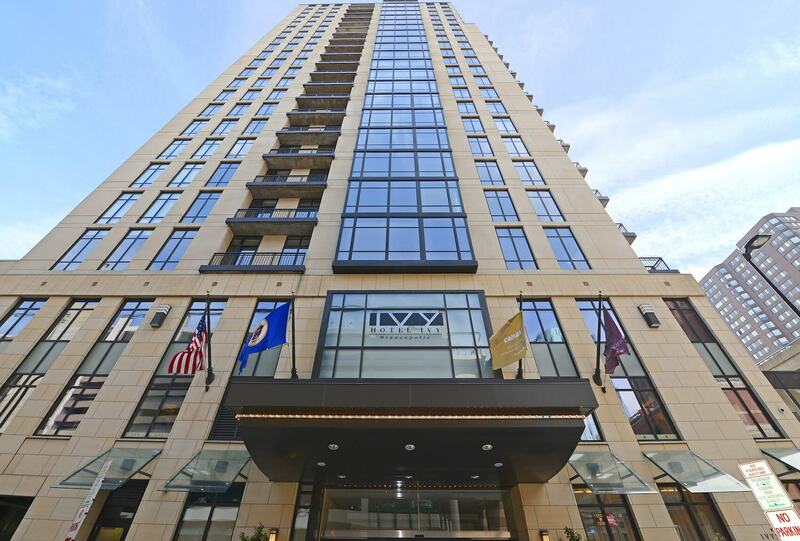 The Ivy is connected to the Minneapolis skyway system, which means residents have convenient access an array of amenities both on and off site. Premiere services at The Ivy include 24-hour concierge and a complimentary business center. Residents can also access Hotel Ivy’s luxury spa, salon and fitness center. 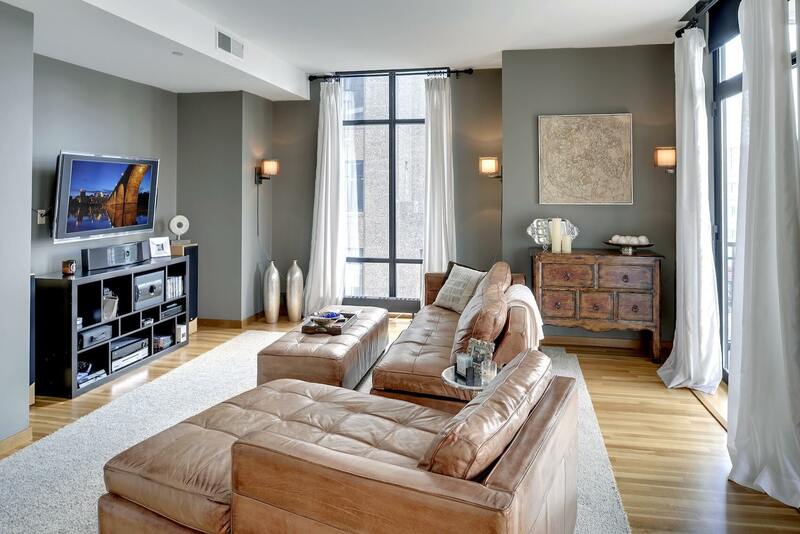 Condos at The Ivy boast contemporary living spaces combined with upscale finishes. 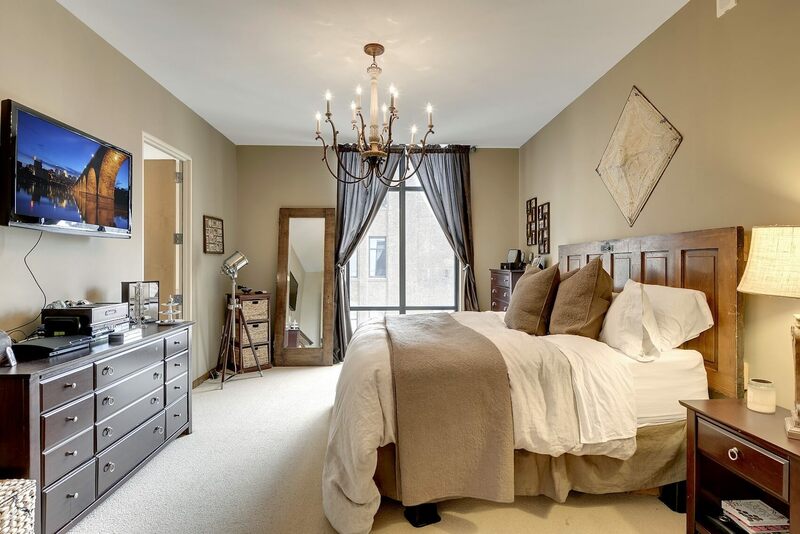 Inside you’ll find spacious, uncluttered layouts, authentic hardwood floors, 10-foot ceilings, recessed lighting, gourmet kitchens and fantastic city views. A number of floor plans and packages exist at Ivy Residences. 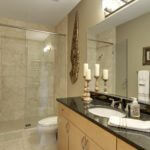 Condos range from 550 to 3600 square feet and most of the units come with an open air balcony. Ivy Residences features a combination of studio, 1-bedroom, 2-bedroom, 2-bedroom plus den and penthouse condos. 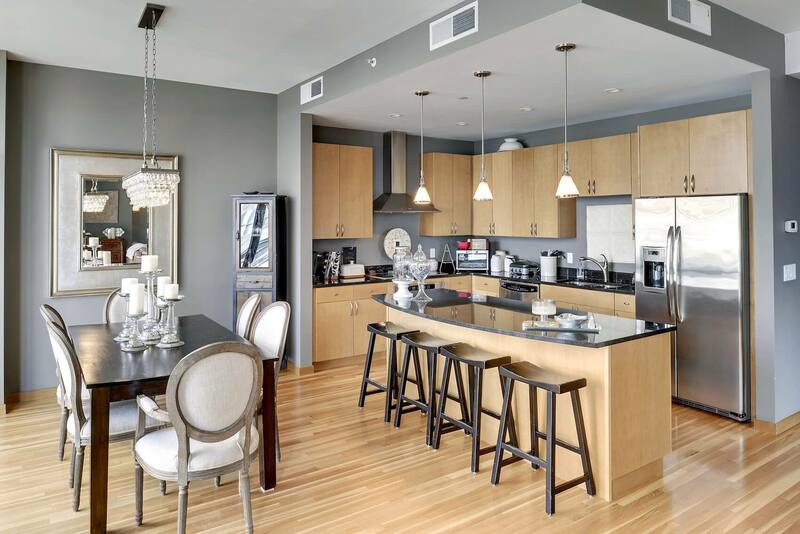 Interiors boast thick hardwood floors, 10-foot ceilings, modern kitchens, granite breakfast bars, and GE, Wolf and Subzero appliances. Residents are allowed either one dog or two cats. Pets must be less than 25 pounds and the building can house no more than 20 dogs at a time. Rottweilers, Pit Bulls and other traditionally aggressive breeds are not allowed. Ivy Residences offers valet parking for guests of residences. 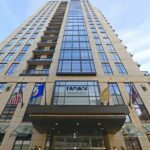 Ivy Residences receives a walkability score of 94 from walkscore.com. Daily errands do not require a car. Ivy Residences is connected to the Ivy Hotel and the Ivy Club Spa & Salon. FirstService Residential is responsible for property management at Ivy Residences. They can be reached at (952)-277-2700. Moving is available weekdays 8am-5pm. No weekends or holidays. A non-refundable fee of $500 is required prior to move-in. What's it really like to live at Ivy Residences? We just don't know! If you're a resident with the inside scoop, please share it with us.